It is 100 years since the birth of Dame Muriel Spark, acclaimed Scottish author, poet, literary critic and biographer – knighted for her contribution to British literature. The adaption for theatre and film of her novel “The Prime of Miss Jean Brodie” brought her considerable celebrity. This one novel caused several of her other works to be overshadowed, and yet critics have claimed that other novels are as powerful, even, of better quality. One such is “The Ballad of Peckham Rye” written before The Prime of Miss Jean Brodie, set in Peckham, south east London, it is a sharp observation of the social mores and working practices of the 1950s, as we follow ‘normal people’ going about their lives. 1950s Peckham leaps from the pages. A south London suburb, not far from Camberwell where Muriel Spark lived, that before the war boasted magnificent department stores and witnessed evening weekend strolls by gentlemen and ladies in all their finery. The latter half of the war brought considerable decimation: several areas were badly bombed by V1 and V2 rockets. So the 1950s was a decade of reconstruction for Peckham. Women who had had a key role in the work place and the factories in the war, saw their status diminish during this decade. This is the backdrop to the novel with the characteristics of the place called Peckham Rye in the 1950s playing a key role. Many of the locations in the novel still persist, others didn’t survive war or reconstruction, others are pure fantasy – our route will encompass many of these. Muriel Spark, herself had quite a colourful life. She wrote “Curriculum Vitae”, an autobiography, some of which may have been fanciful. An ‘official biography’ by Mark Stannard was published soon after her death in 2006, while last year, a memoire by long time travelling companion, Alan Taylor, was also published. She lived for 3 decades in London from the end of the war until the late 1960s, and trod the streets of Peckham to research this intriguing novel. 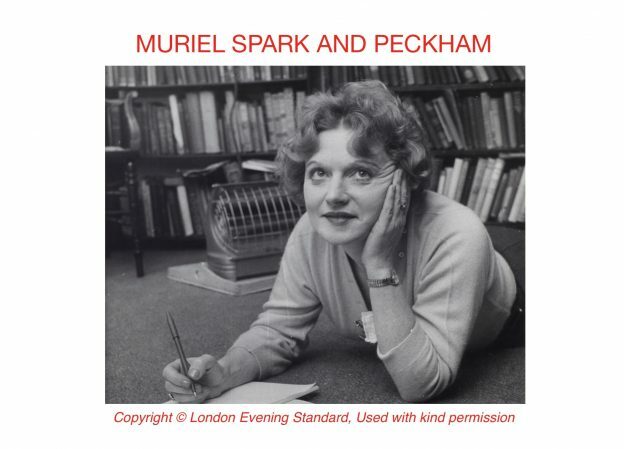 You can find out more from the Muriel Spark 100 Centenary website. 2.30pm-4.30pm Sunday 4 November 2018 Start: Peckham Rye train station £15 (unsuitable for anyone under 16) (£3 cash back early bird discount if purchased by 28/10/18) £20 on the day. If you genuinely cannot afford the regular price, please contact us via our Get in Touch page. Please try to read the novel before you come – it’s available in libraries, in paperback, as well as in a special hardback centenary edition. Join us in 1950s vintage dress – a warm coat and collar recommended! This entry was posted in Between the Lines on November 4, 2018 by admin_MoW. 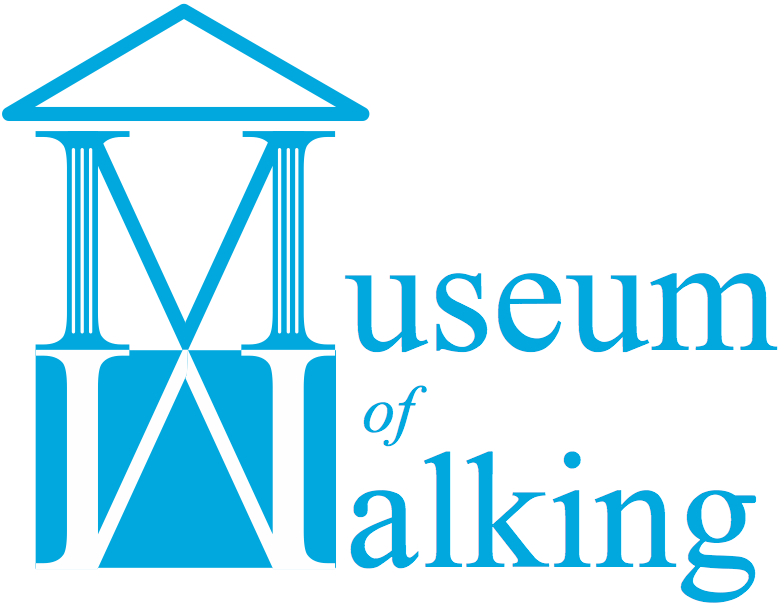 Means of transport by foot; or portable device exploited to encourage walking.